Help Desk: How to use it, how to capture your screen and more How to create an icon on the desktop Whatsapp How to import and export your data How to sell services and products together Mailing - MailChimp Online booking from your website Search and sort Security recomendations How to edit and delete invoices and services How to change the payment method in Gespet? Quick access to the App from mobiles and tablets. How to create an icon on the desktop. 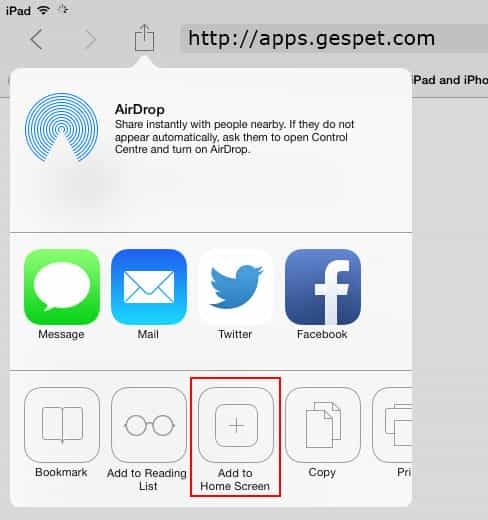 To access your app you can write directly the URL in your browser, but you can save this URL so you do not have to write it, just click on an icon. 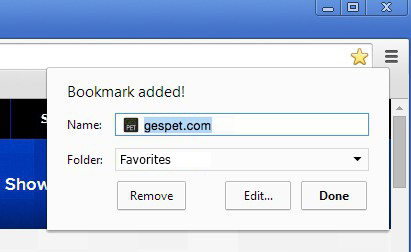 How to add to the Bookmarks of your browser? 4. It is done !. Now click on the bookmark and your application will open. Click the button to the left of the address bar (square with an arrow pointing up) and select the "Bookmark". There are many ways to do it, here we show you some. 2. Click on the icon that appears to the left of the address and drag it to your desktop. Ir you're using MacOS, You can also include the icon in the Dock, just drag it to the desktop. 5. 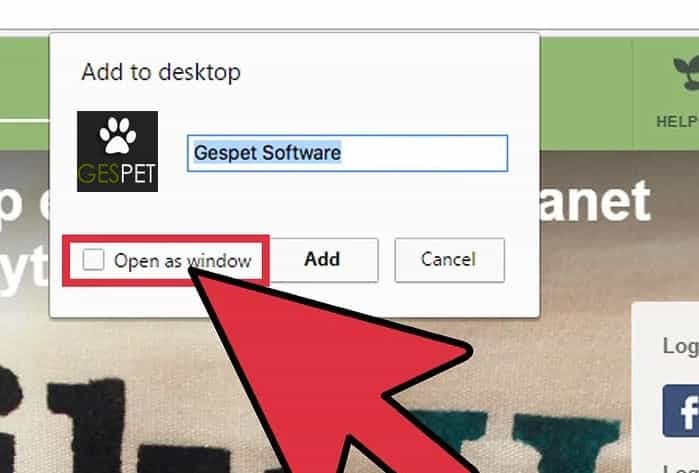 If you select the option Open as Window, when you click on it, it will open in a new browser window. Otherwise, it will open as one more tab of the web browser. 6. Finally click on Add to finish. 3. Select the option "Add to home Screen". 4. Select now the option Add shortcut to desktop. Note: These instructions may differ, depending on your device, OS version, browser, etc. 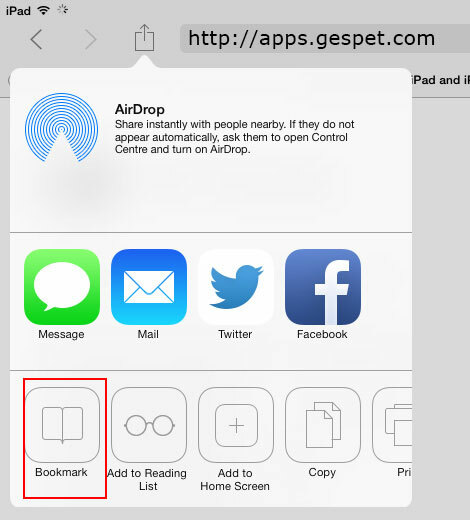 But do not worry, you can always look for how to create a shortcut and adding to bookmarks for your specific case. 14/01/2019 ¿Cuáles son los datos obligatorios en una factura? Any other questions? get in touch and let us know. We would be glad to help you.